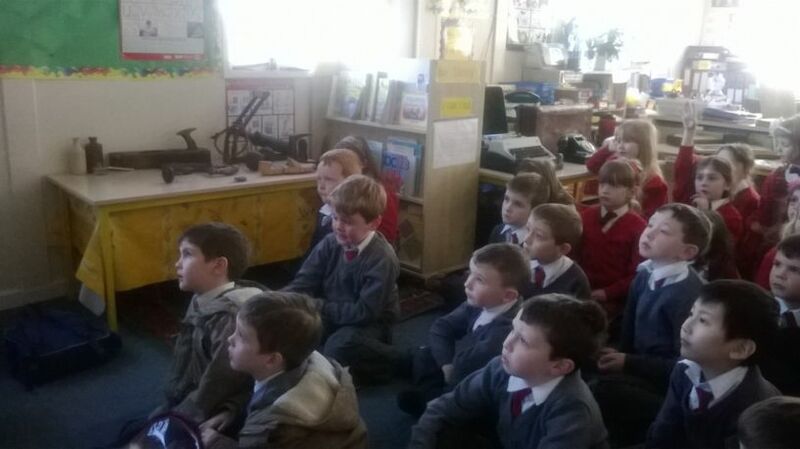 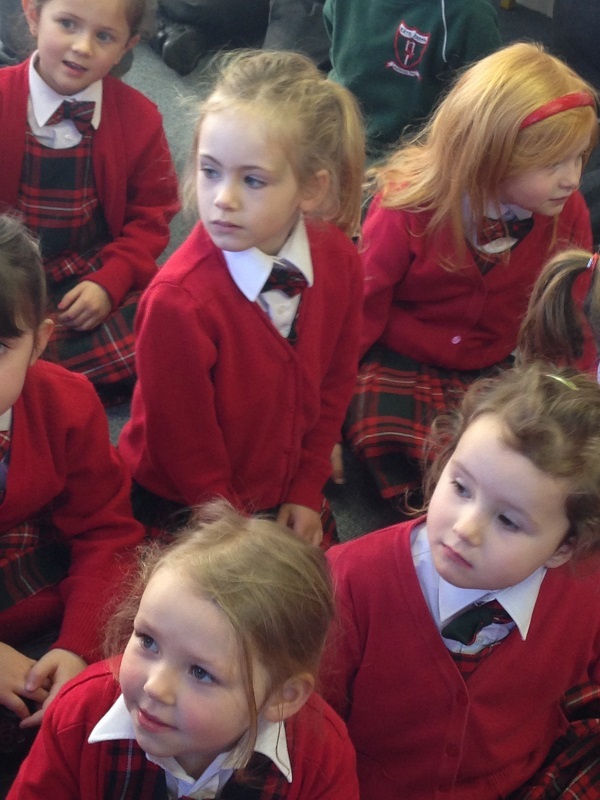 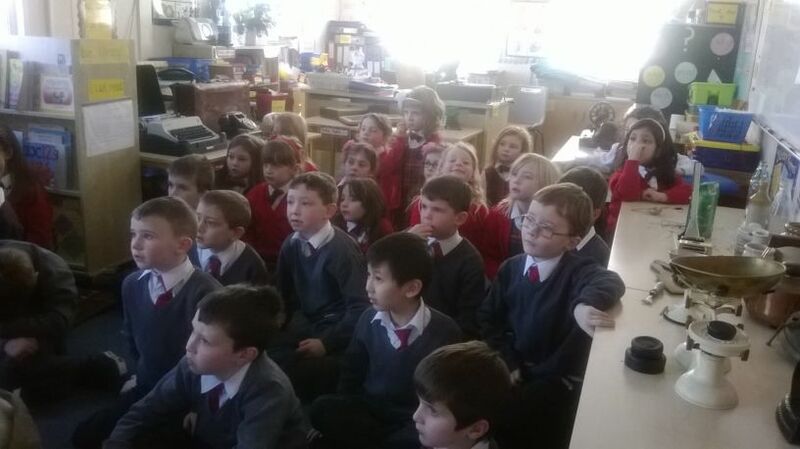 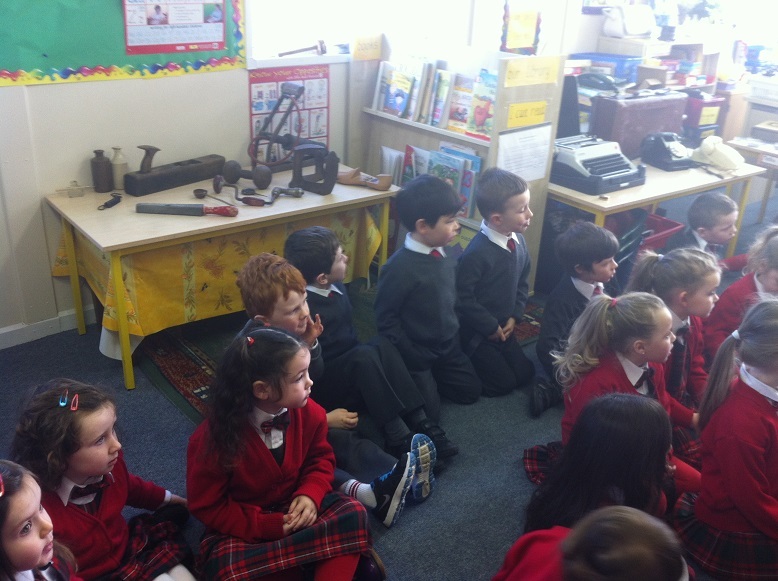 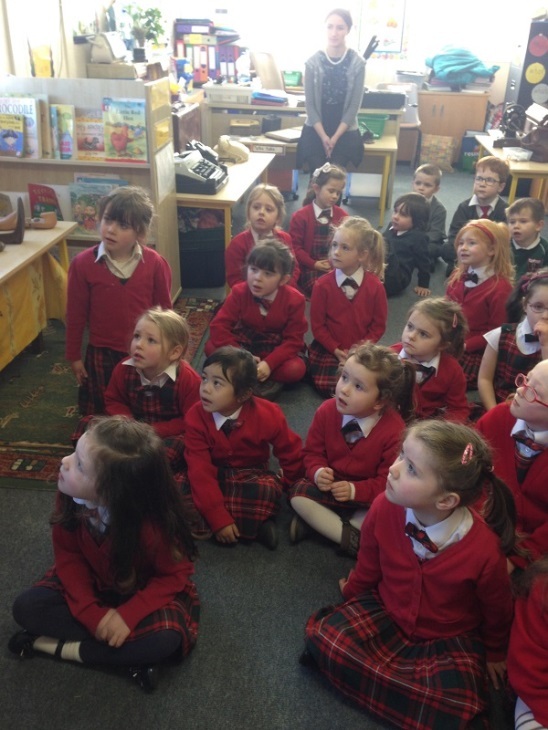 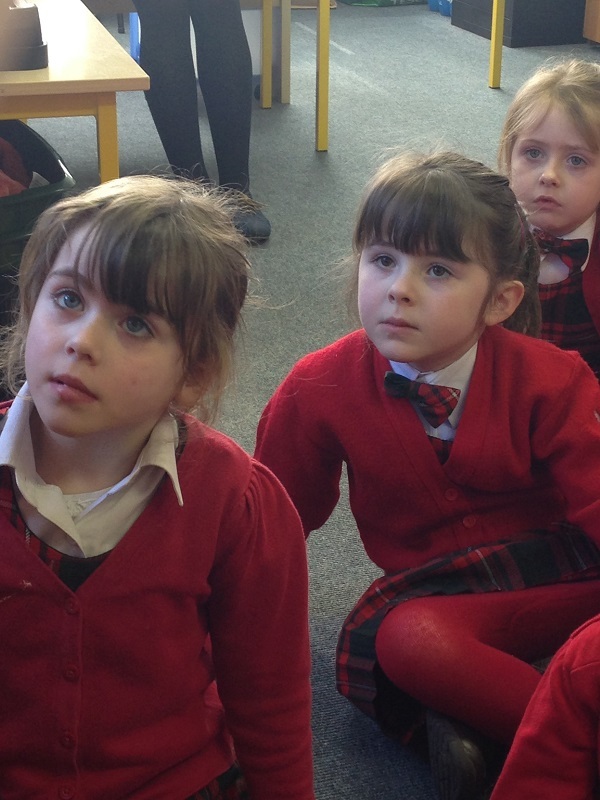 Every year we have a special History Day in Naí Scoil Íde. 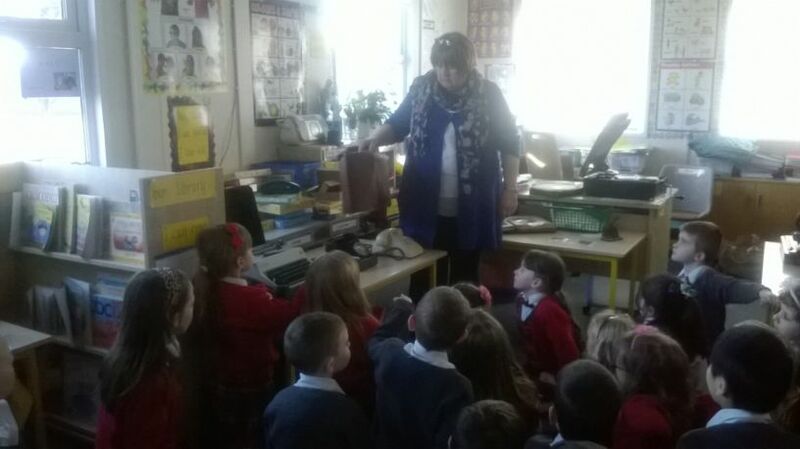 This year each class visited Mrs. Cloherty's room where they were transported back many years to see what life was like in the past. 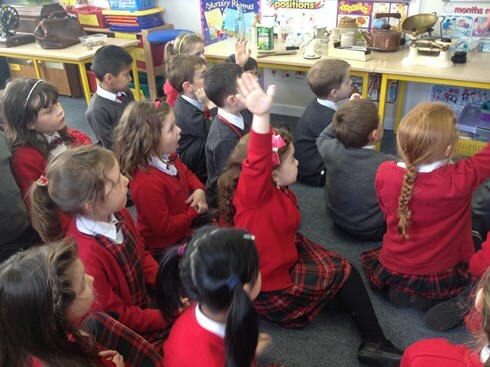 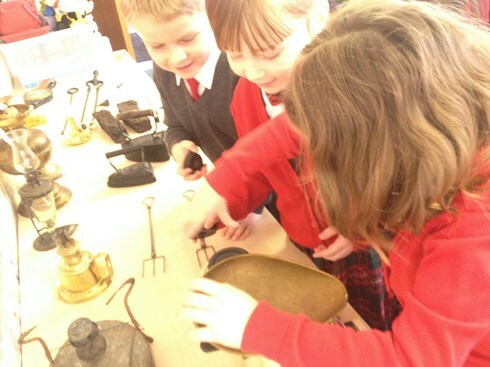 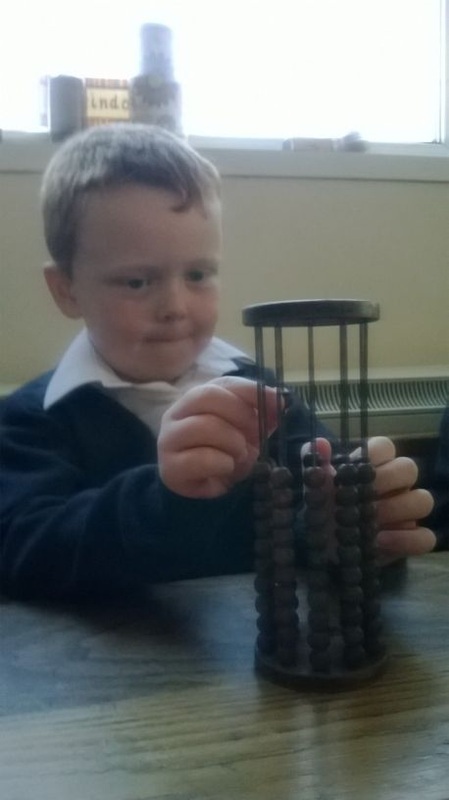 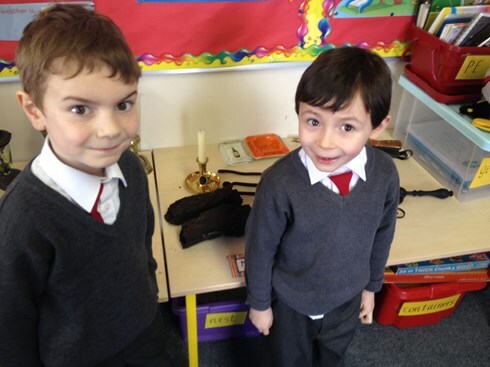 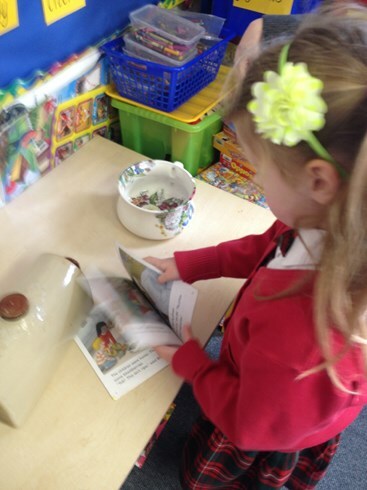 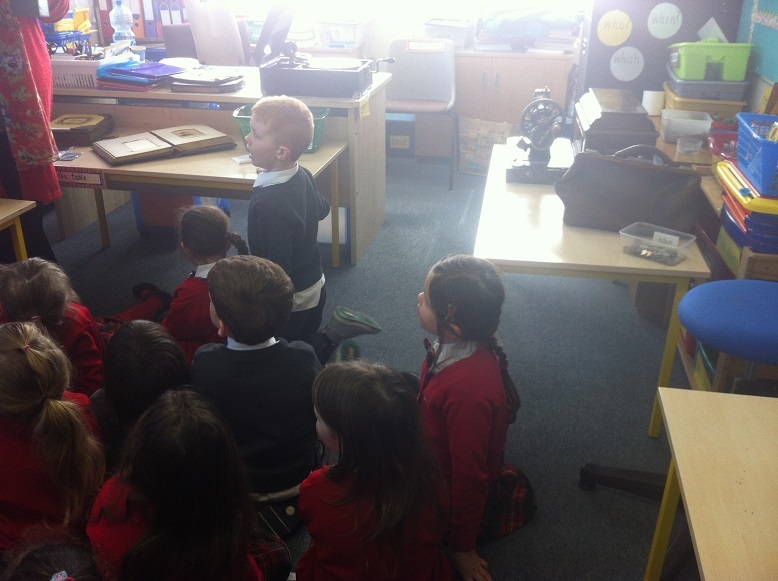 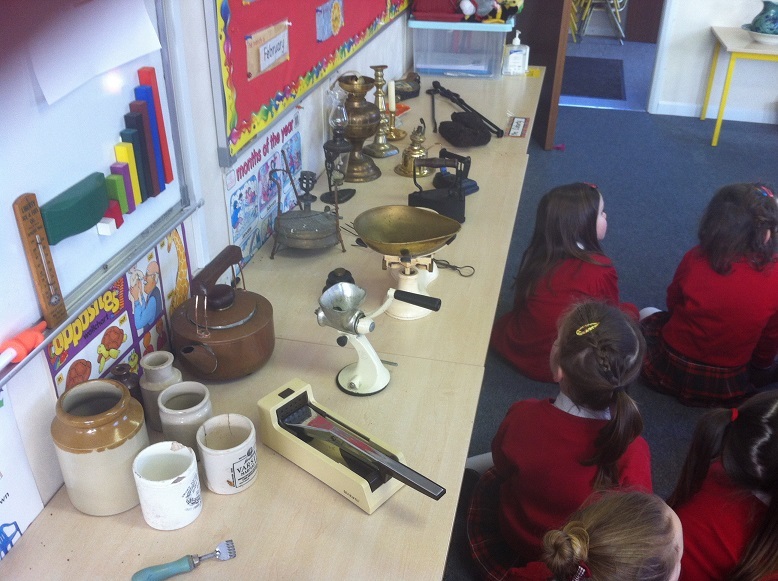 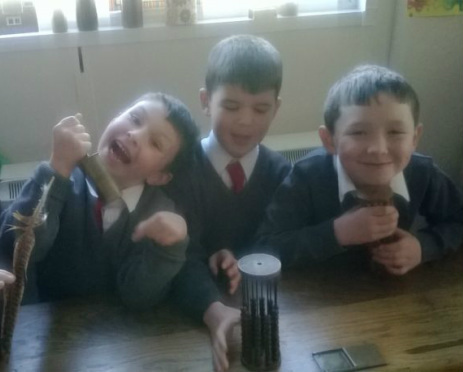 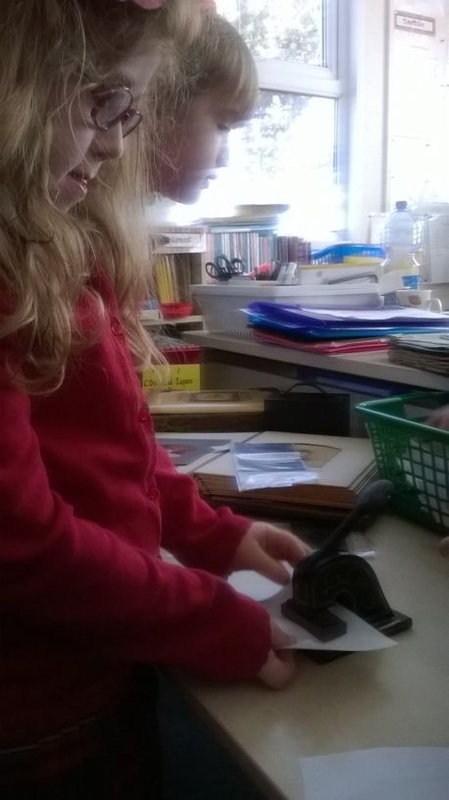 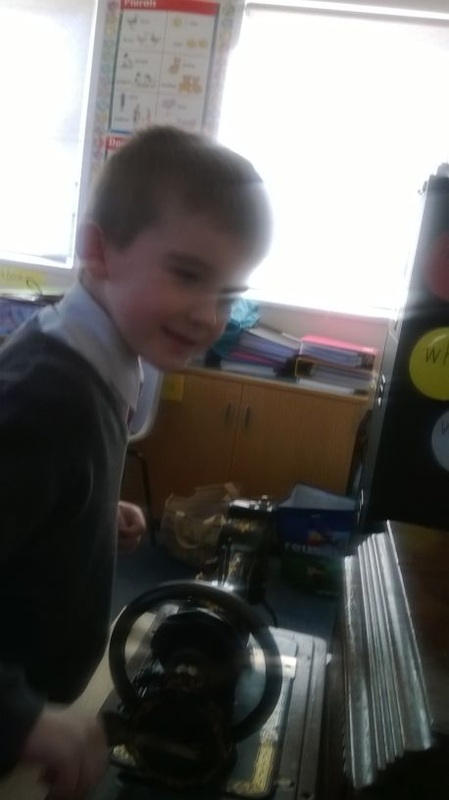 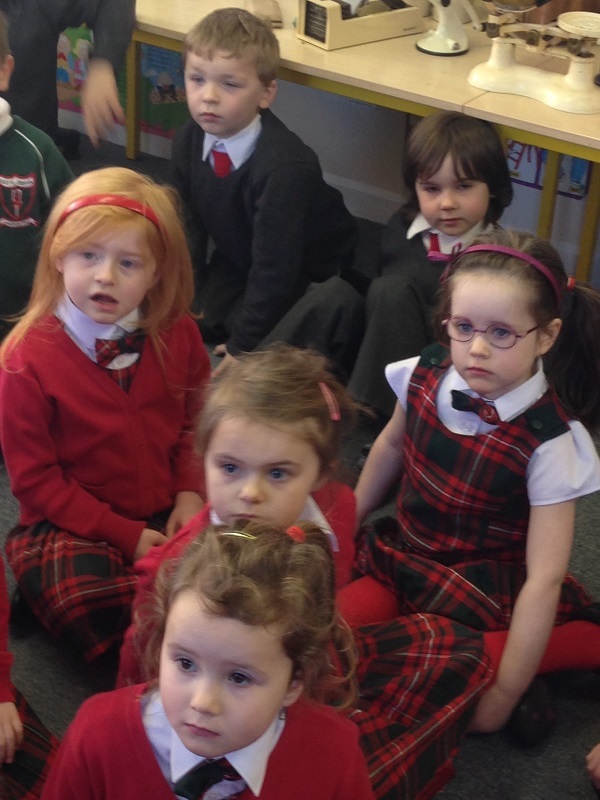 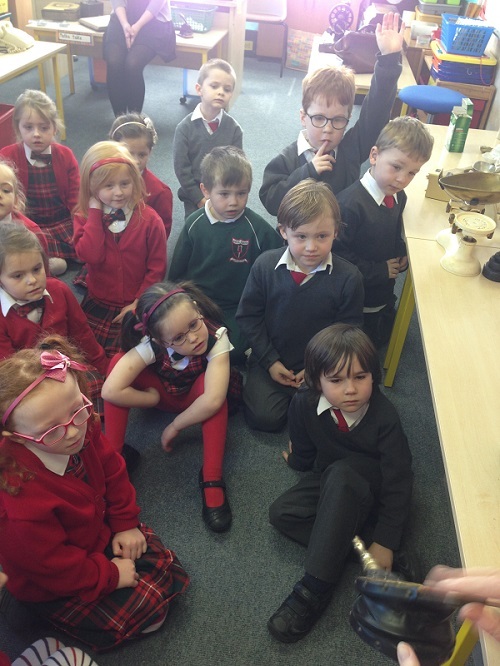 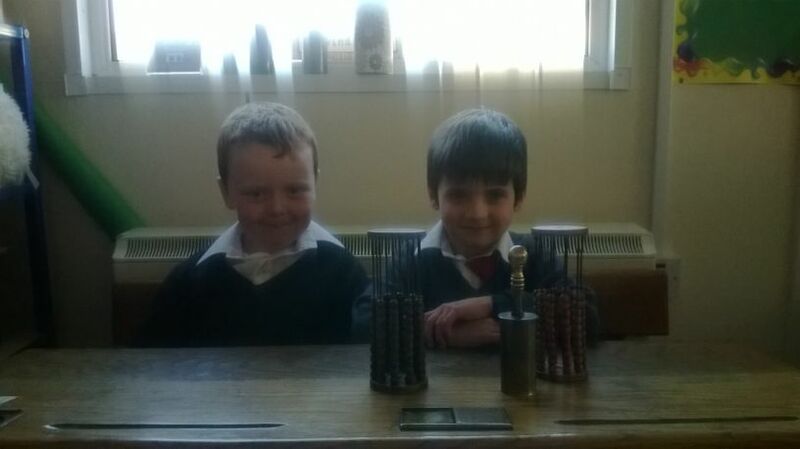 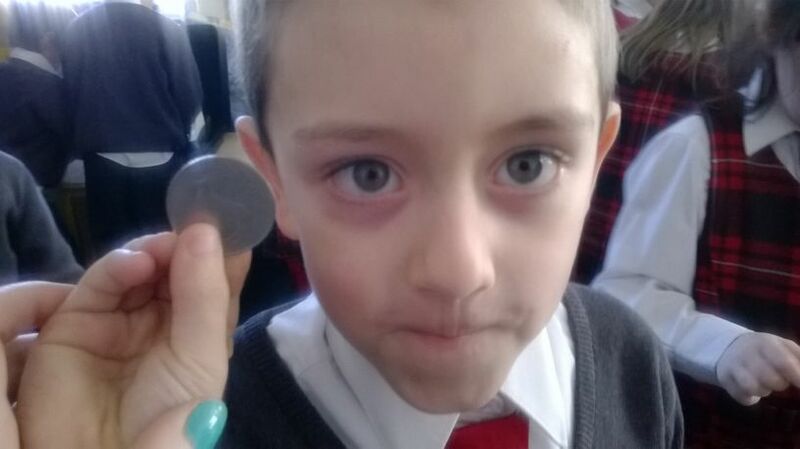 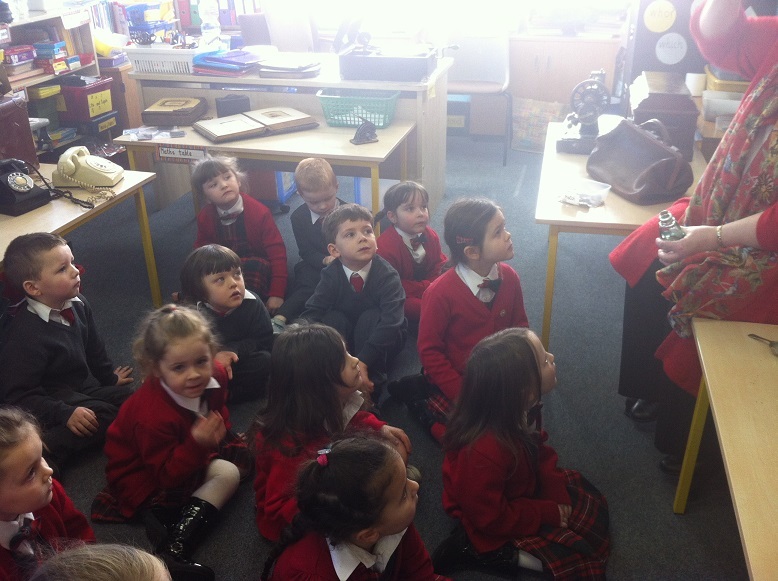 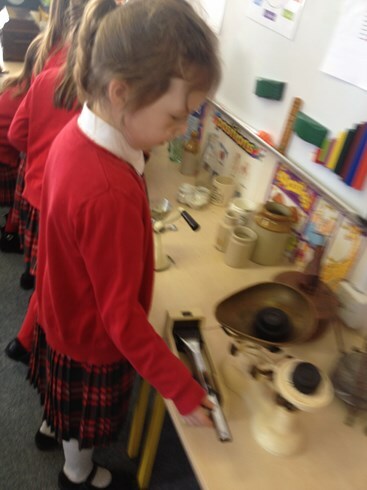 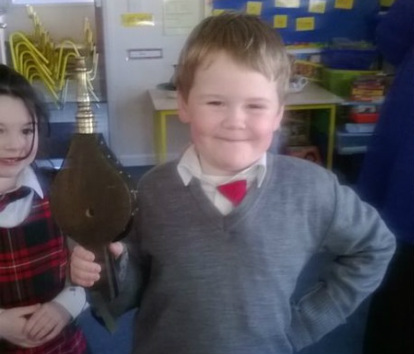 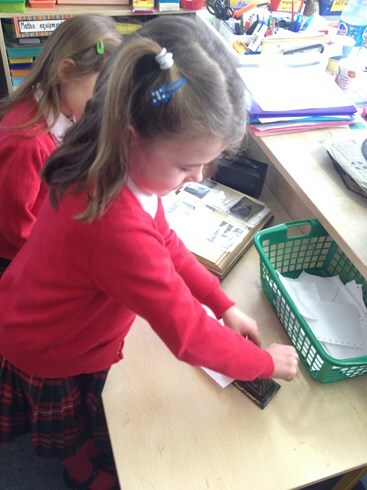 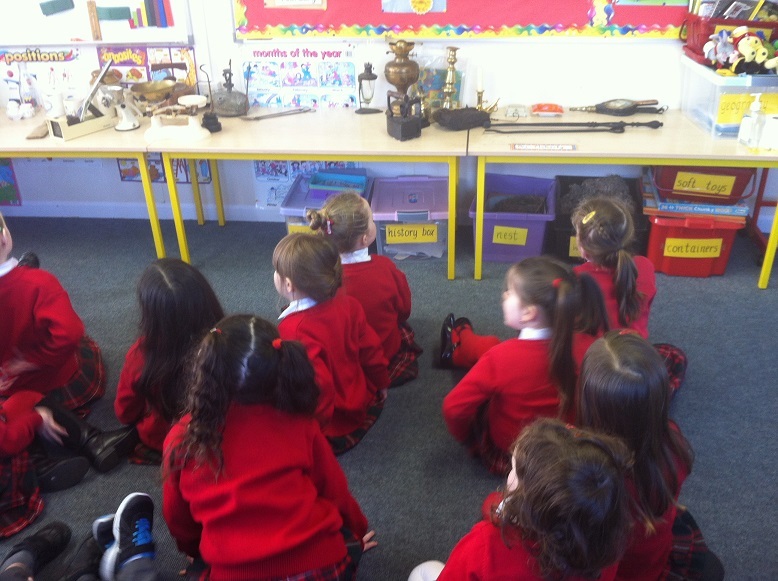 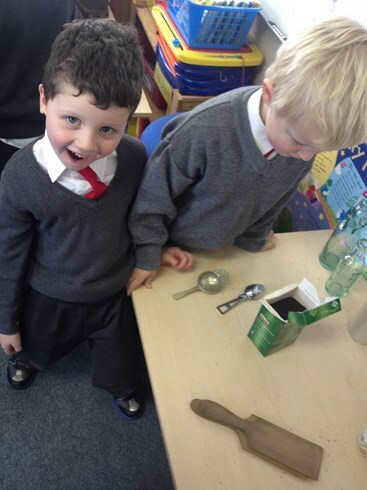 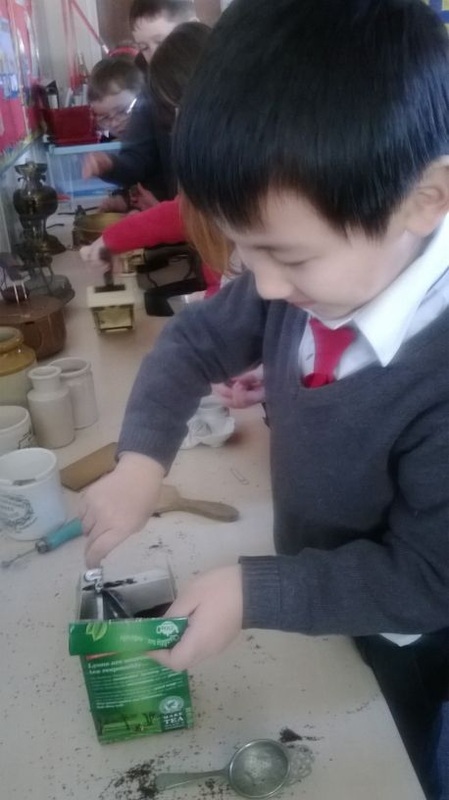 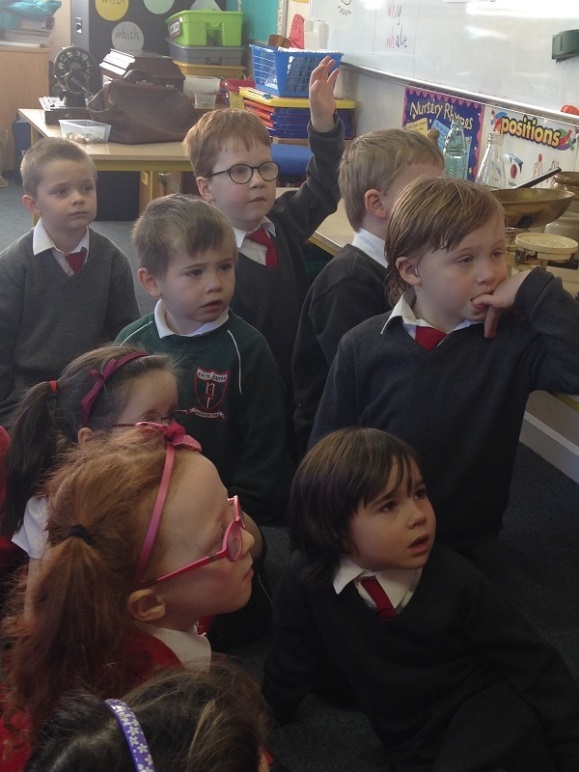 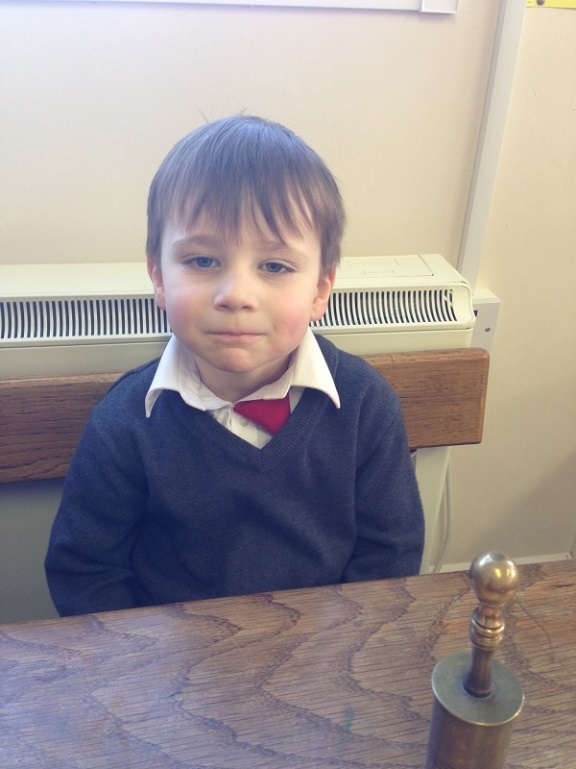 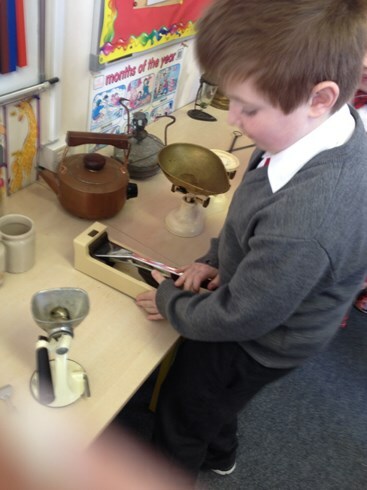 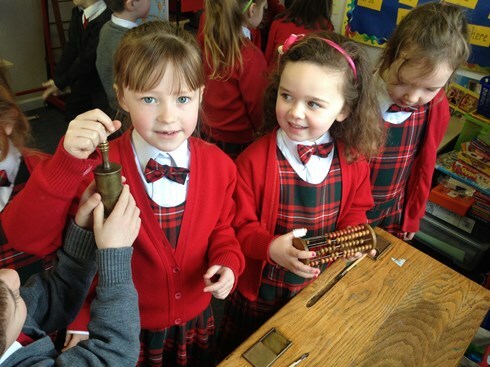 The children were fascinated by the stories of life long ago and they really enjoyed examining all of the old objects. 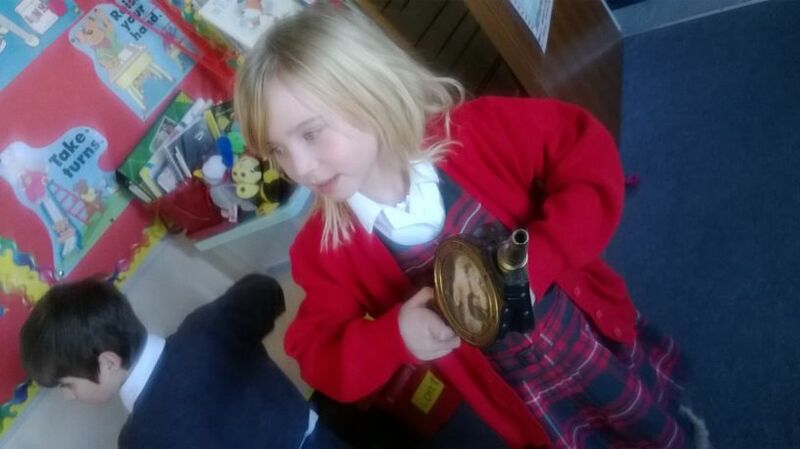 They were shocked when they discovered what the chamber pot was used for and they loved the idea of using a toasting fork! 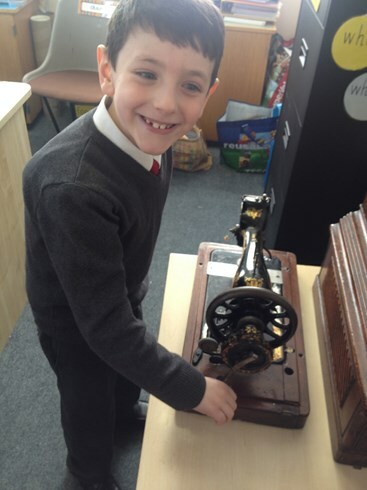 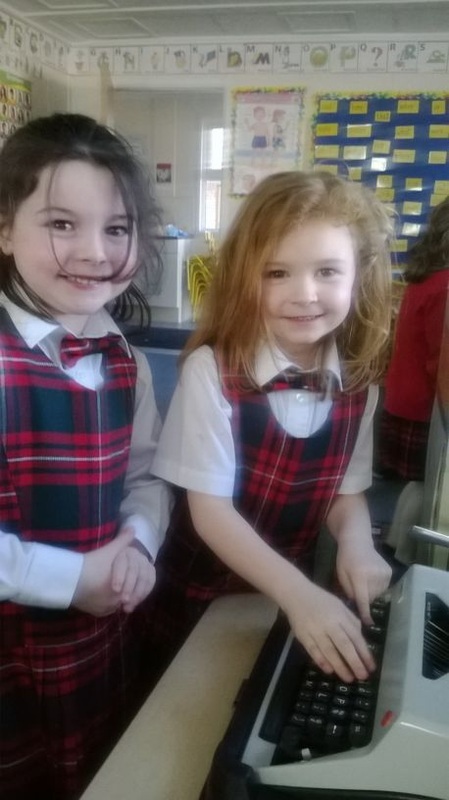 The typewriter looked very basic compared to the Ipads we have in school and the boys and girls found it hard to imagine having to stand still while on the phone! 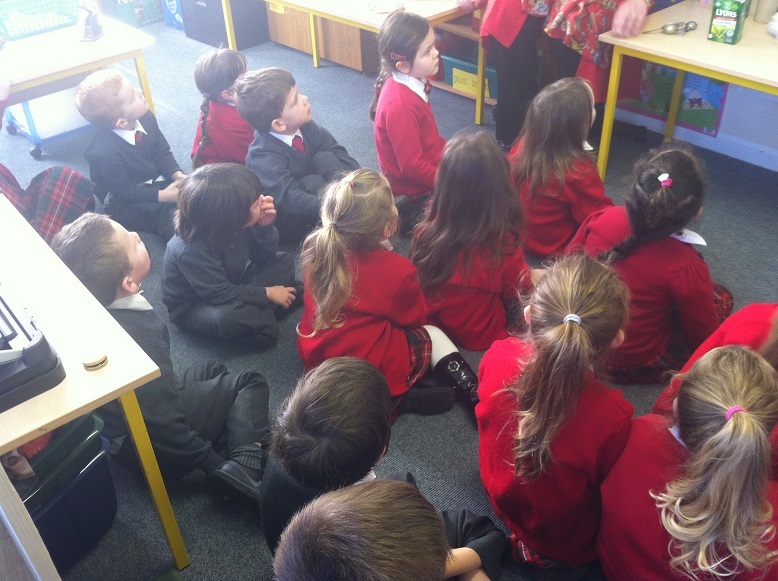 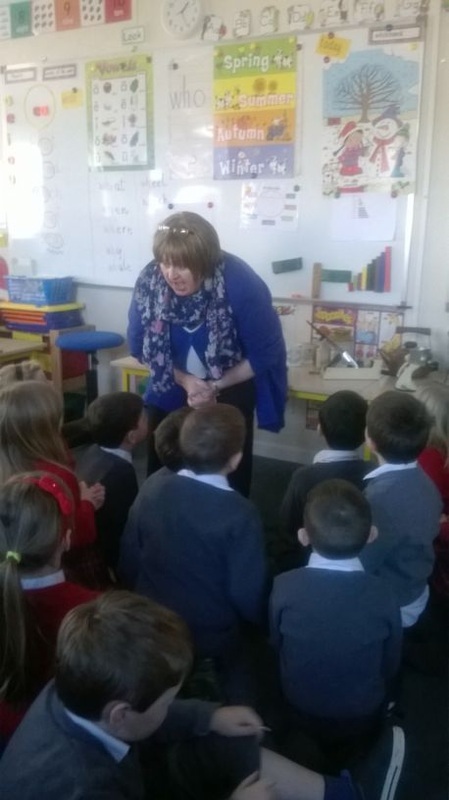 The children even had the chance to dance to music from long ago that Mrs. Cloherty played for us on a record player! 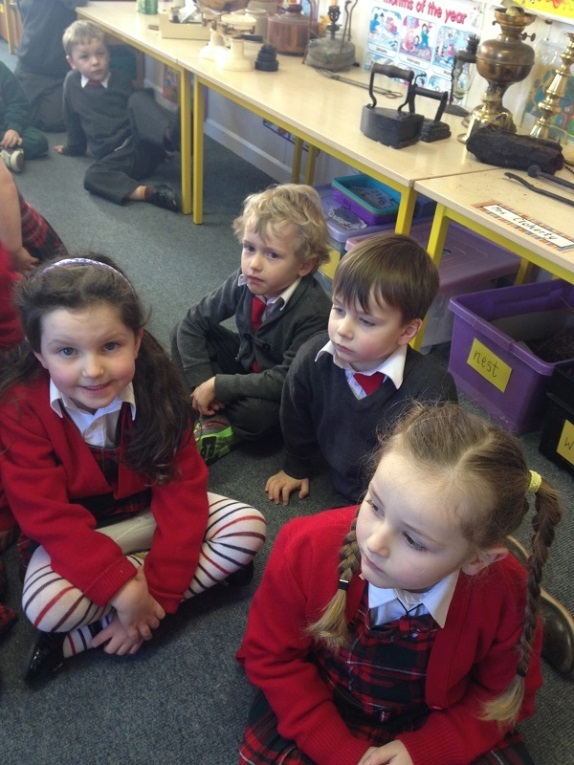 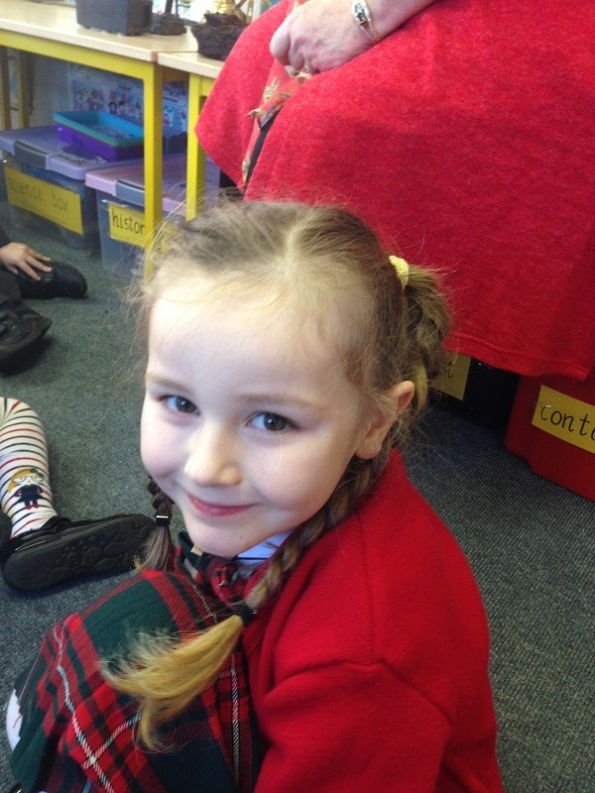 It was a fantastic day for all of the children.